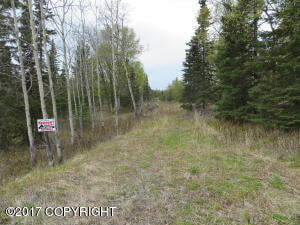 DESCRIPTION: 4.78 acre lot with a mountain view and a view of Cook Inlet!! There is a driveway and underground electric in front of the lot. DRIVING DIRECTIONS: Sterling Highway south to aprox. MP. 116.25, turn on Loveall Loop, then turn on Razor Avenue. Property is on Razor Court. Look for real estate sign.